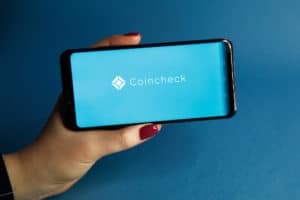 Japanese cryptocurrency exchange Coincheck announced April 1 that it has set up a new over-the-counter (OTC) trading desk for large-scale Bitcoin investors. The new service will enable Coincheck clients to directly trade large volumes of Bitcoin with one-another without affecting the broader market. The minimum trade volume to use the new OTC desk has been set at 50 Bitcoins, which as of press time, amounts to just over $235,000. The Coincheck OTC trading desk for Bitcoin will be available throughout weekdays between 10:00 and 15:00 Japanese time (13 UTC to 18 UTC). The exchange clarified in a blog post that overtime trading and use of the Coincheck API or app is not allowed. The minimum order volume has been pegged at 50 BTC, with permissible bigger orders sized at increments of 25 BTC. In other words, if you want to buy or sell more than 50 BTC at a go, you have to pick from any of the available order sizes of 75 BTC, 100 BTC, 125 BTC, 150 BTC and so on. OTC trading is an important step forward to limit the scope of abrupt and unwarranted price fluctuations caused by market whales. For the uninitiated, this is how it works: Let’s say you are holding a large volume of Bitcoin and you would like to sell all of it. Going by the traditional trading avenues offered by cryptocurrency exchanges will make a terrible choice in this case because dumping a substantial amount of any asset, including digital currencies, at once is bound to negatively affect its market value. The adverse impact could be so rapid and substantial that it might end up affecting your own profit margin by a considerable amount (in addition to leaving a scar on the broader market). In the same way, purchasing large volumes of Bitcoin at a go will be followed by a sudden increase in price. This, again, will affect the broader market including the buyer themselves. Therefore, crypto exchanges have various checks and balances in place to deny the scope for any such manipulative practices that could potentially destabilize the market. OTC trading is one such measure wherein the exchange matches the buyer interested in the bulk purchase of an asset with a seller looking to sell a large volume of the same asset. 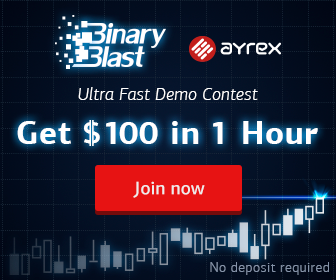 A one-on-one negotiation between both parties is arranged, and once the terms are established, the exchange facilitates the trading for a commission. Coincheck Launches Bitcoin OTC Trading Desk for Transactions Involving 50 BTC or Higher was originally found on copy trading cryptocurrency | Blockchain News | Bitcoin News | blokt.com.